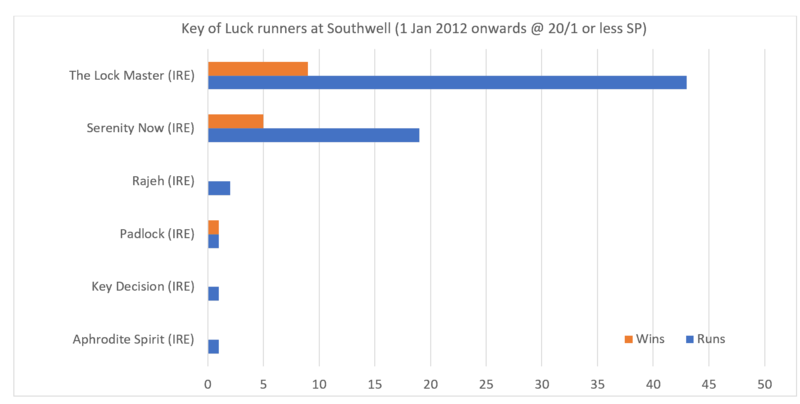 I have a little micro-system for Southwell regarding American-bred runners. Must be aged 2,3 or 4. Exclude if raced 3 or more times at the course, or won 2 or more times at the course (because prices will reflect this). Recent example, Southwell 1pm on 30th November – Corelli win bet at 10/3, Three Weeks each way bet at 25/1 (even though only 6 runners) and a reverse forecast. Result Corelli wins at 3/1, Three Weeks second at 20/1. Doesn’t always work of course but nice when it does. Very nice Mark! Thanks for sharing and I’ll check out the micro later. Corelli was quite impressive I thought! Would have liked an AW report to look at each individual course, track draw bias, trainer strengths and first time on the track etc. Here we have selected a handful or Course specialists and nothing else. Thanks for the feedback Kaz, I tried to give a slightly different view to the normal trainer etc angles that I’d normally write. Sorry it didn’t work for you this time. Personally though, I think there is more in the article than just course a handful of course specialists. I do fully intend to give the AW more focus over the coming weeks and months, hopefully I’ll convert you yet! In my opinion, there is a HUGE amount to get interested about in Jon’s article. 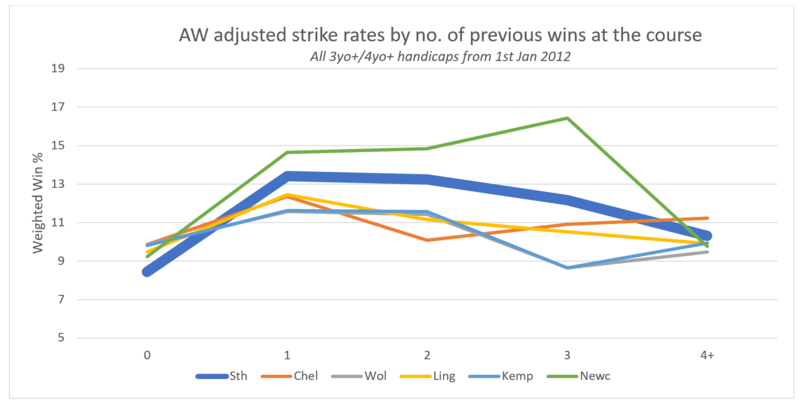 For me, the most interesting thing is the danger of making assumptions about trainer and/or sire performance based on small samples which can be down to just a couple of horses. We know we can’t please everyone all the time but, in my view, this is one of the best articles we’ve published in recent months. Each to their own and all that, but I felt your comment was a little, how shall I say, harsh. p.s. you are free to research all the elements you mention using our Query Tool – I’d positively encourage such proactivity! Thanks for your time and energy in putting this report together Jonny11 I doubt it took you 5 min or even an hour excellent. Fascinating article. 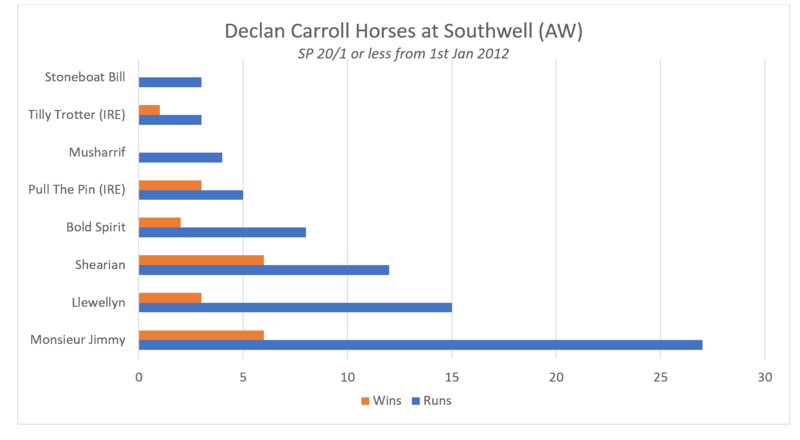 You’ve blown apart a few things I usually back horses at southwell on, especially the trainer angle and the pedigree. And on reflection backing the likes of Declan Carroll fails for me more than it works. I tend to look for c&d winners in all aw track’s. Based on Kaz’s comment’s,let’s not be too negative. I think theres scope for a whole series of analysis on the 5 aw tracks. You’ve just whetted my appetite for a few hours of fact finding when the cold snap hits and given us a few interesting points to look at. A very interesting article indeed!! Hi Ian, thanks for the kind comments. I agree with you on the AW scope. 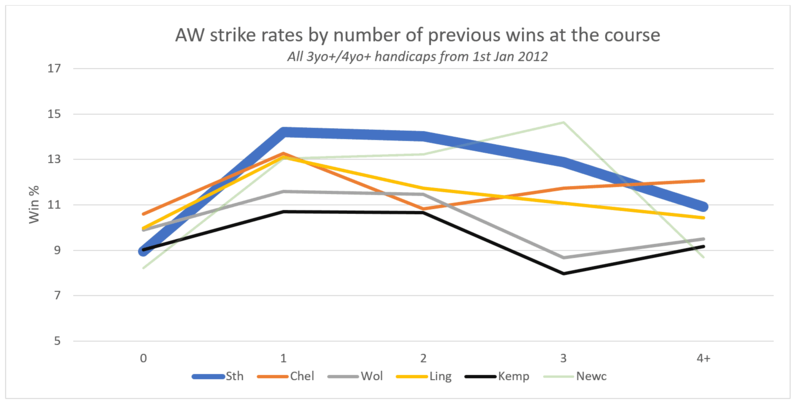 The combination of consistent surfaces, pace and draw analysis based on large samples and horses running regularly give plenty to go at! I definitely will revisit (just looking through the 3 meetings for tomorrow now!). I still think trainer/pedigree have parts to play at Southwell to a certain extent though, albeit with a note of caution for the reasons outlined! Monday Musings: Joseph is coming!